Window 3 (W3) – Project investments: funding allocated by Funders individually to projects that are defined by the Funders themselves (with partners) and that are aligned with system-wide investments. 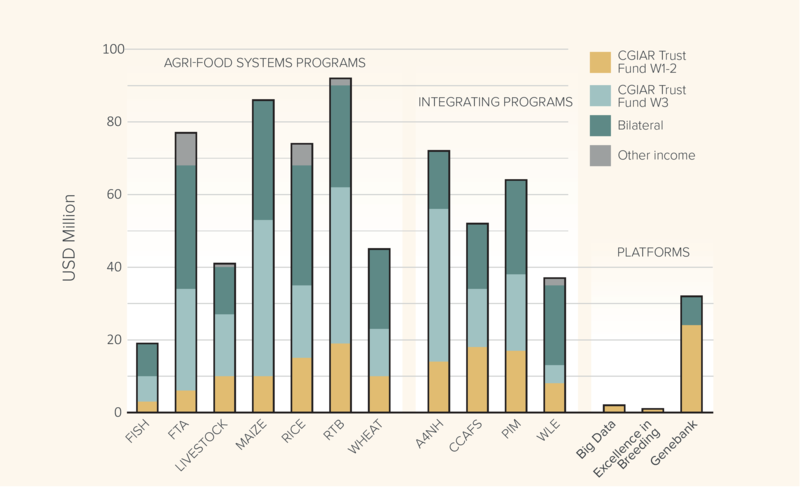 Window 1 (W1) – Portfolio investments: funding allocated to the entire CGIAR portfolio of approved system-wide investments prioritized and allocated by Funders collectively through the System Council – supporting CGIAR as a whole. In 2017, CGIAR recognized revenue of USD 849 million, of which the vast majority (78%) was Window 3 and bilateral funding, and 19% was Window 1 & 2 funding (Figure 1). 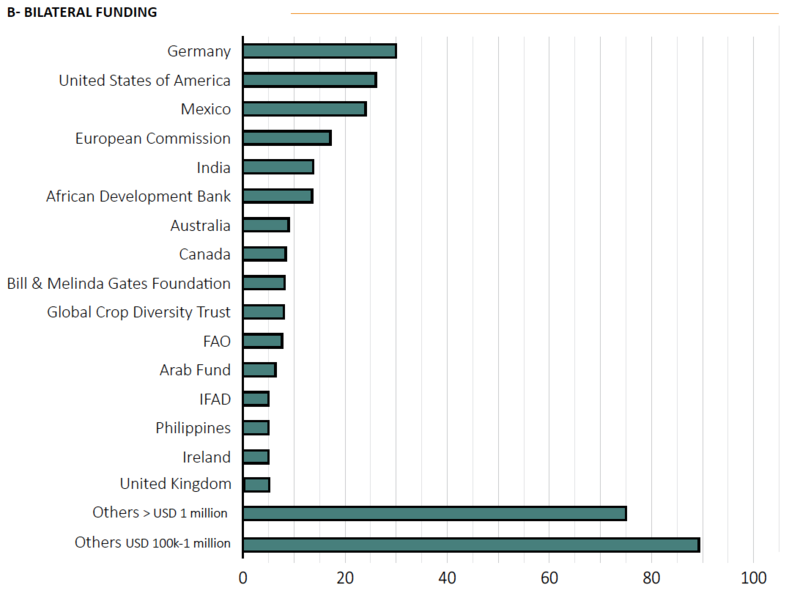 Figure 2 shows the principal Funders and channels in 2017.1 The largest overall Funders were the Bill & Melinda Gates Foundation, the USA and UK. 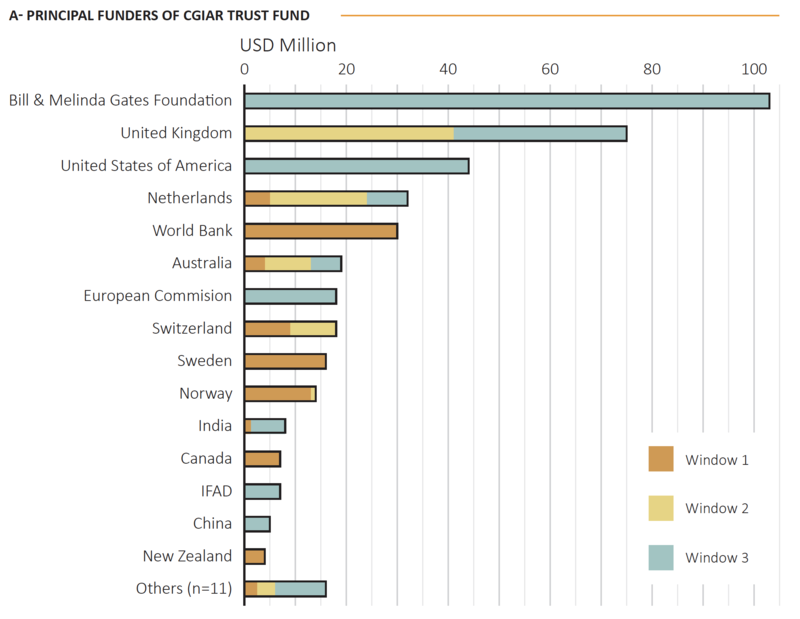 The largest providers of Window 1 and 2 funding were from the UK, World Bank, the Netherlands, Switzerland, Sweden, Norway, Australia, and Canada. Major bilateral funding came from Germany, USA and Mexico. 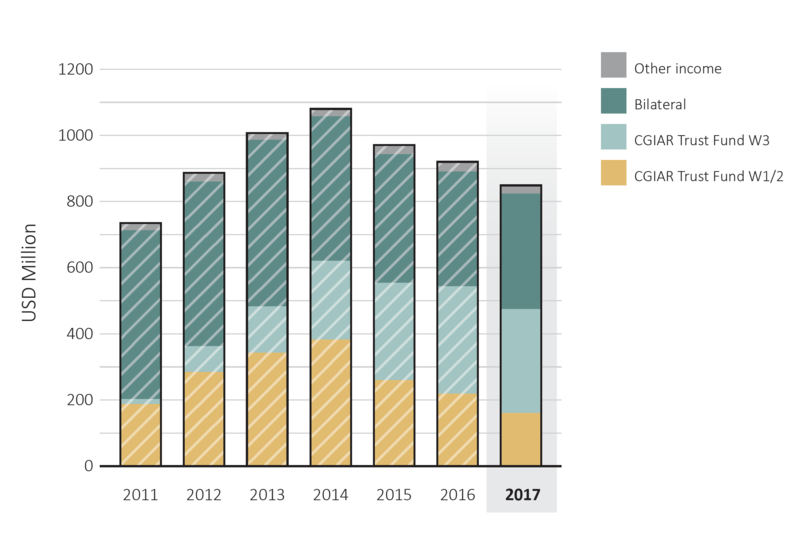 Figure 3 shows total CGIAR revenue by funding channel in 2017 – the first year of a new research portfolio – compared to funding for the initial CGIAR CRP Portfolio from 2011 to 2016. Revenues for 2017 were more than 20% below the peak revenues in 2014. The vast majority of funding was allocated to specific projects, and pooled (Window 1/2) funding was at its lowest level over the period shown, in both absolute and percentage terms (USD 160M, 19% of total) since the first introduction of the CRPs. Recognizing that agricultural research is both long-term and seasonally sensitive, and thus depends on stable funding, the CGIAR Trust Fund aims to provide reliable and predictable multi-year funding and thereby enable research planning over the long term, resource allocation based on agreed priorities, and the timely and predictable disbursement of funds. This was partially successful in 2017 with significant within-year communication to Centers on levels of confidence of funding availability, but the picture looks brighter for future years. In 2017, 94% of expected (System Council approved indicative) funding was received by the end of the year: a gap of USD 11 million. 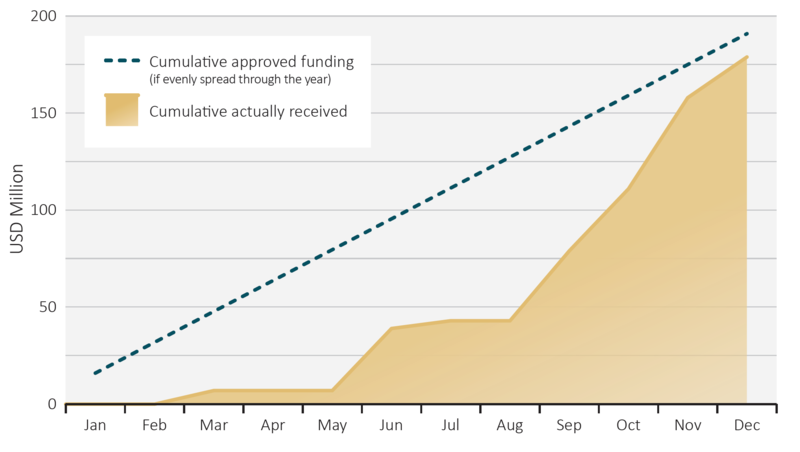 A key challenge however was the timing of the funding received, as shown in Figure 4. Cumulative receipts by May were only 4% of approved funding, and only 22% of all indicatively-approved external funds were received by the end of August. Over half of all external funds were received in the last quarter of the year. Delays in funding can make it difficult for research programs to carry out trials and studies, maintain partnerships and fulfill contractual obligations. 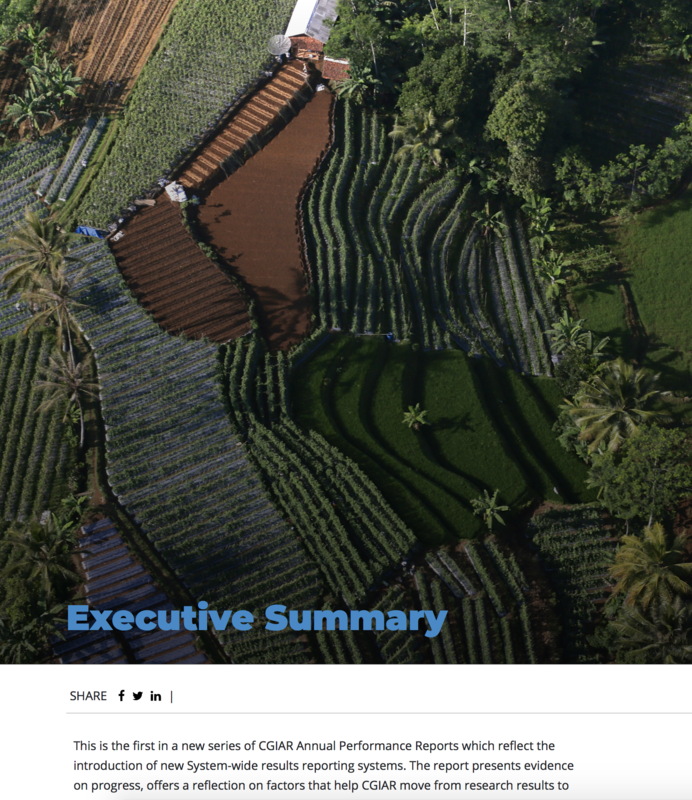 The CGIAR Balancing Fund was vital to provide start-up funds for the first half year (USD 34 million), but insufficient: it only covered 18% of the expected funding. Nevertheless, one important aspect that has improved is the timeliness of information on confirmed funding. Firm funding commitments allow Centers to pre-finance research from their reserves. In the past, firm commitments have only pre-dated actual payments by a matter of one to two months, but this improved in 2017, when more than half of final funding was confirmed by March and over 80% was confirmed by June. Thanks are due to Funders who signed multi-year agreements in 2017. Figure 5 shows the main categories of expenditure. 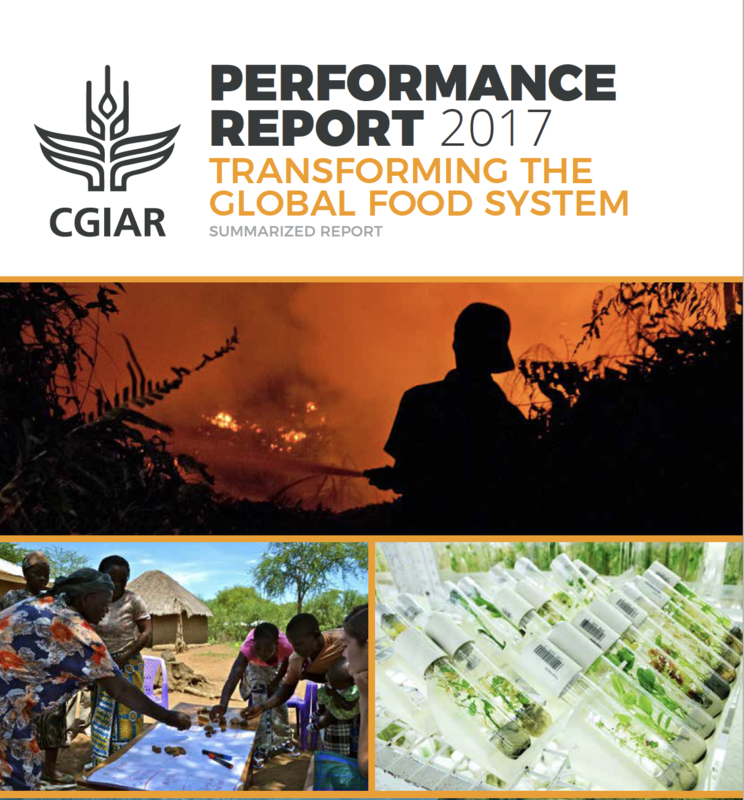 These included 85% of expenditure related to research (led by CGIAR and its partners) and 15% to general, administration and system level costs. General and administrative costs (including system-level costs) declined by about 1% of the total expenditure from 2016 to 2017. Figure 6 shows expenditure by CRP/platform and funding channel2. It can be seen that there is a wide range in overall size of program: overall expenditure in 2017 varied from about USD 20 to 90 million. There is also wide variation in program access to pooled Window 1/2 funding: generally, this accounted for around 20% of overall expenditure, but in some programs (e.g. Forest, Trees and Agroforestry), the percentage was as low as 7%. This is important, as W1/2 funding adds value not only through its flexibility but also (as discussed earlier) because it helps direct investments to agreed System-level priorities (e.g. gender, monitoring and evaluation) that are not always included in project budgets. 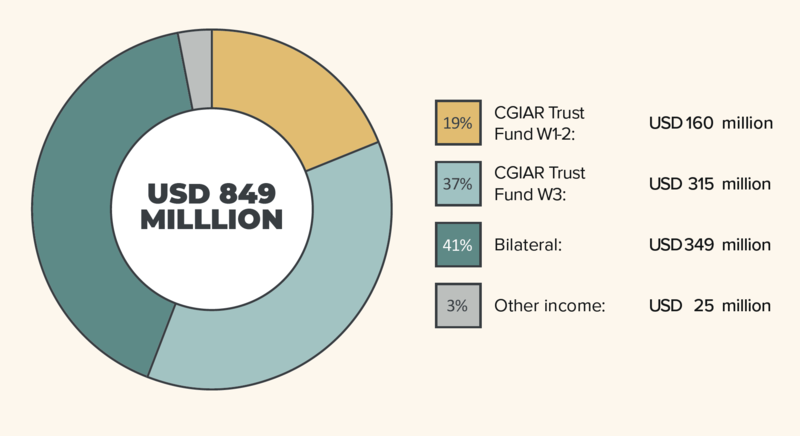 To summarize: CGIAR recognized income of USD 849 million in 2017, of which 56% was channeled through the CGIAR Trust Fund. 19% of the total was pooled funding (Trust Fund Windows 1 and 2), that plays a vital role in programmatic activities such as integrating gender across the program and responding to unforeseen challenges such as a new crop disease. Of total funding, 85% was used for research and 15% for general and administrative costs. The main challenge in 2017 was the timing of the pooled funding received: only 4% of funds were received by the end of May and over half were received in the last quarter of the year. Delays in funding make it difficult for research programs to carry out trials and studies, maintain partnerships and fulfill contractual obligations. However, timeliness of information on confirmed funding did improve in 2017, and would further improve with the signature of multi-year agreements by Funders to Windows 1 and 2. 1 Principal Funders and channels cannot be put in the same graph because they are calculated differently. 2 One of these, the CGIAR Research Program on Grain Legumes and Dryland Cereals, was approved for implementation starting in 2018 and thus had no revenue or expenditures in 2017.